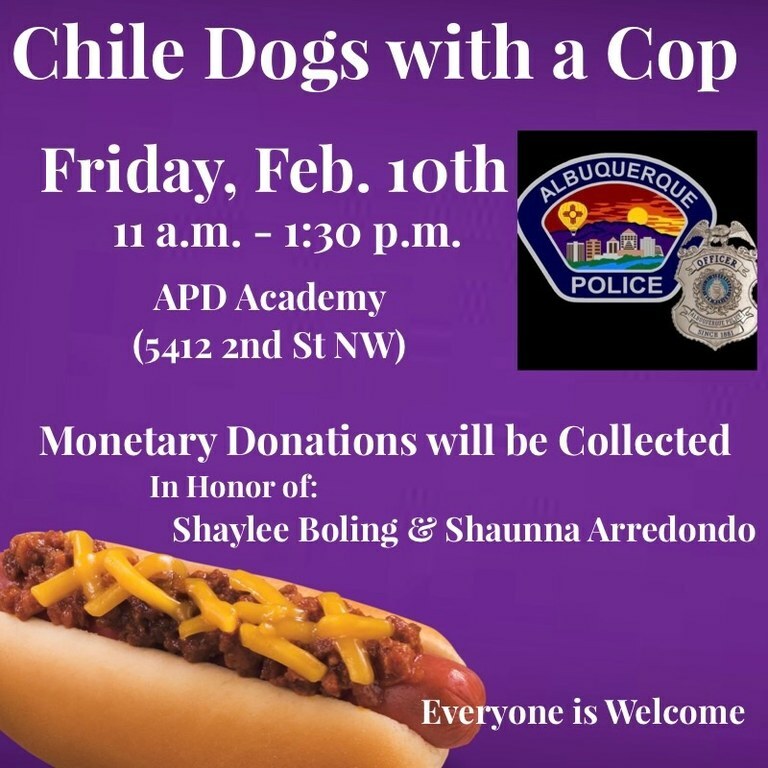 Come join officers with the Albuquerque Police Department for food, fun, fellowship and support a grieving family. Our Community is invited to come and enjoy lunch with their Albuquerque Police Officers. WHERE: Albuquerque Police Training Academy, 5412 2nd Street NW - on 2nd Street near South of Montano. 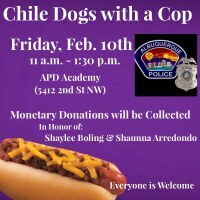 DONATIONS: Donations will be collected in honor of Shaylee Boling and her mother Shaunna Arredondo. The pair was killed after two people stole a vehicle and drove away from the scene recklessly, crashing into the family. APD Officer Vicente Martinez and his family were so touched by the incident, they wanted to do something to help. The goal of Chile Dogs with a Cop is much like Coffee with a Cop. It's an opportunity to meet your officers face-to-face, enjoy lunch, discuss any questions or concerns you may have and help a grieving family. The event is open to the public and everyone is welcome to attend.